How Do Granite Slabs Get Their Names? Each granite slab is unlike any other whether you are looking at two different slabs of one type of granite like UbaTuba granite or a strikingly different type of granite like Juparana Gold granite. It is necessary to generate different names for different types of granite or other natural stones so that there is a certain level of consistency and universal knowledge across the natural stone industry. The names are intended to be memorable and descriptive so while some granite names are relatively straightforward and descriptive like Colonial Gold granite, others rely on the romance of another language to strike a memorable cord like Azul Aran granite. When a homeowner sets out to select a piece of granite, they are typically looking to create a kitchen that people will admire and that exudes a feeling of luxury. The names typically used for granite slabs are descriptive and often allude to the area that they are sourced from. The naming of each stone is typically generated based on the region that the granite is quarried from, whether it refers to the city that they are quarried in like White Carrara marble or in many cases the name will borrow from the language of the region that the stone is sourced from. Giallo Napoleone granite is obviously a stone that is sourced from Italy. Using the Italian or Spanish or Portuguese language immediately gives the stone a sense of formality and character. Blue granite, for example, sounds a lot less dramatic and impressive than Azul Aran granite. Similarly, Monte Carlo granite immediately draws upon the luxury of Monte Carlo France and instills a sense of sophistication that would not be generated by a simpler descriptive name. 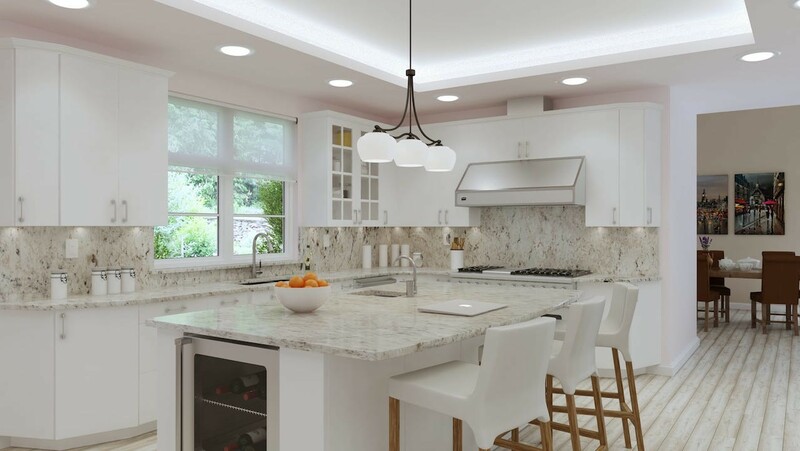 Bianco Antico Granite gets it's name from the Italian name "Antique White"
UbaTuba granite is a rich dark, almost green granite that is quarried out of Brazil that is composed of quartz and mica. 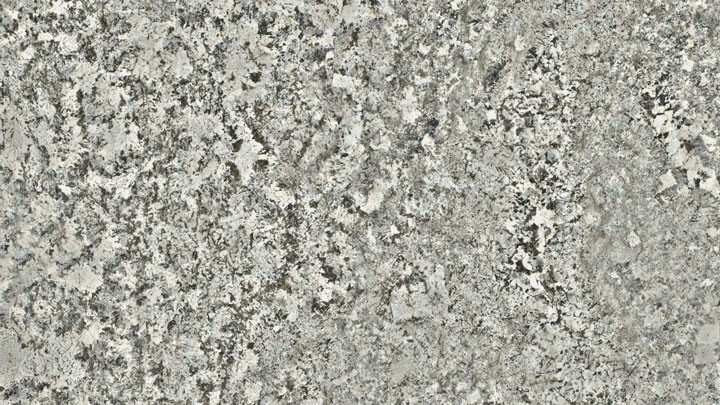 It is a relatively vein less granite, but instead is known for its patterns and speckles. The stones extracted from the site are so large that they can be used for a large amount of uses from kitchen countertops to bathroom vanities and bathtub surrounds. The name is fun to say and easy to remember, making it a terrific stone to have on site at your slab yard. Its actual derivation comes from the name of a Brazilian municipality on the south-east coast of Brazil. Dark stones continue to be as popular as light stone granites and can add a great level of contrast within a kitchen. Juparana Gold granite is also sourced from Brazil and is a gold, brown, and cream-colored stone. The stone’s name is derived from a lake in Brazil called Lake Jurapana. Like the name UbaTuba granite or Monte Carlo granite, using regional names for a piece of granite not only increases its feeling of luxury, but also makes the name ultimately more memorable, and will result in more sales. People will remember stones with interesting and melodic names just like they will recall any other product on the market. When selecting stones for your slab yard from our inventory at SlabMarket, we always recommend that countertop fabricators select a wide variety of slabs as they fill their containers. There is not one true stone that dominates the natural stone industry, so it is important to have a sampling of all the popular stones on the market. As I mentioned above, some stones have more memorable and regional names, and people may, consequently request those more often, but it isn’t a proven science. We recommend establishing a relationship with SlabMarket and we can ensure that your inventory is properly stocked at all times by sending containers as your supply gets diminished. You may find that you have a huge sale of dark stones one month and a huge sale of light stones the next, but we will be here to help replenish your stones with quality slabs as soon as you need them.